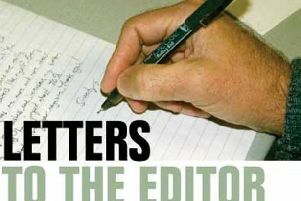 I must enlighten your letter writer Martin Wright concerning cuts to Northumberland Fire Service, (News Post Leader April 28). In 2006 the council went ahead with cuts to include four stations at Morpeth, Blyth, Cramlington and Ashington, cuts to engines, and also the reduction of full-time firemen to be replaced by part-timers. The savings amounted that year to £10m just for fire services. It was reported at the time that MPs were against it, the public were against it, everyone except the Labour executive and the fire chief. I remember supporting the protests, along with my grandson in his pushchair. Let us remember, this was a Labour government cutting costs, so why are we surprised at a reduction in spending at County Hall, particularly when the councillors need new facilities at the north east of Ashington? On the subject of replacing a building that’s only 40 years old, I did read the support documents from County Hall and what do I find – the main reason was the condition of the building, which had not had a proper maintenance plan for over ten years. We really couldn’t make this up. Moves like this rarely, if ever, achieve new jobs, as stated. Labour does not have a majority on the county council and relies on two Independent councillors to keep it in power and spend our money. It is quite right when it says it will be judged by the court of public opinion – in the next election. Perhaps the Opposition can make a public statement that it will stop this outrageous waste of our taxes if it regains power.